Breakfast and dinner are included. Our cozy orange grove is the ideal place to relax in a hammock, play backgammon, table tennis or enjoy a Turkish water pipe. For more comfort and style, try one of our private bungalows with attached bath and the added option of air conditioning. We offer single, twin, double and triple bungalows. 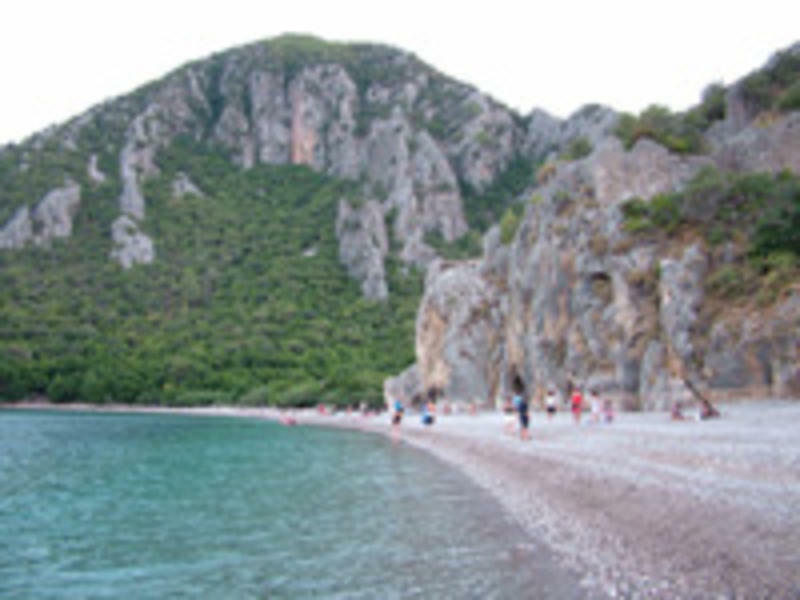 Just a short walk from Yakamoz Pension, the Olympos beach is situated in a picturesque bay in the shadow of Olympos Mountain. Opportunities abound for swimming, rock jumping, kayaking and hiking. And, when you're ready to move on, our on-site travel agency can get you going on a Mediterranean Blue Cruise and help with any travel planning needs. Explore the nearby ruins of the ancient Lycian city of Olympos and plan to visit the amazing natural phenomenon of the Chimera flames, which have been burning bright on Olympos mountain for thousands of years. Yakamoz Pension also offer tours to the eternal flame of Chimeara, trekking to the lost city, boat cruises, jeep safaris, diving, paragliding and rafting tours all summer long just in case exploring the ancient ruins and nature reserves beneath Mount Olympos, mythical home to the mighty Zeus and lounging by the crystal clear waters of the nearby beach are not enough. Bar, TV, 24/7 hot water, Free information, Camp Fire, Internet cafe, Laundry, Transfers, Int. Phone call and Table Tennis! 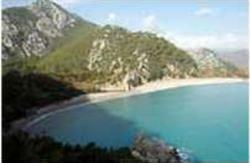 Olympos is 85km West of Antalya, 180km East of Kas and 320km South East of Fethiye. 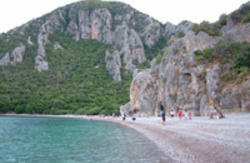 From Antalya bus station take the Olympos bus along the coast to the Olympos bus station. It takes approximately 1½ hours. From here take a frequent mini-bus service (dolmush) down into the Olympos valley, straight to the door of the Yakamoz Pension. 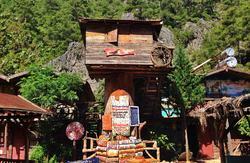 From Fethiye or Kas head East along the beautiful coast road to the Olympos bus station. Here a mini-bus will take you down into the valley, to the door of the Yakamoz Pension. If you require a private transfer to/from the airport or any other destination please ask.